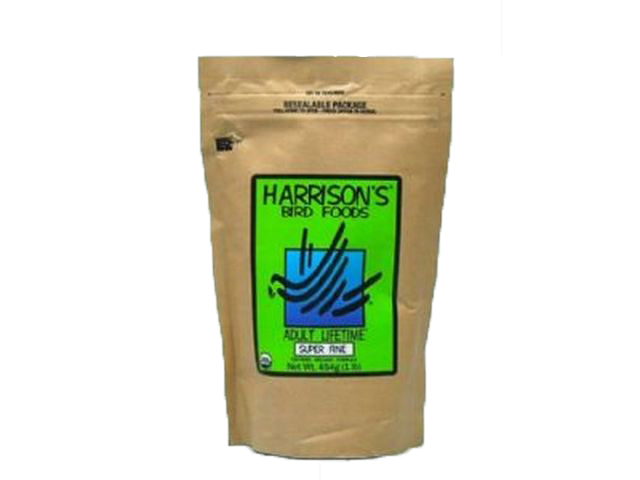 Harrison's Adult Lifetime Superfine Organic bird food consists of certified organic pellets that have an irresistible nutty flavor and irregular crunchy texture that birds love! Adult Lifetime is best for healthy, non-molting birds. Check out our low prices on all Harrison's bird food. Pellets are sized for Tiny,Petite and Small birds. Can be fed as a primary maintenance formula for adult birds. Feed fresh daily.